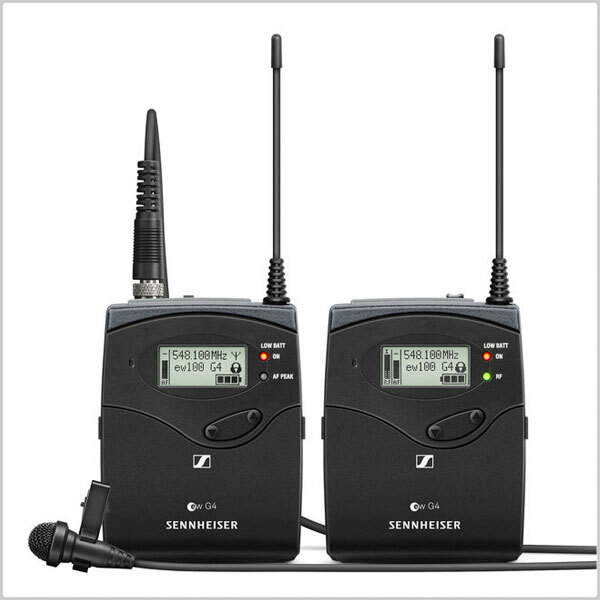 The SK 100 G4 Wireless Bodypack Transmitter from Sennheiser is the latest addition to their evolution family of wireless microphones. 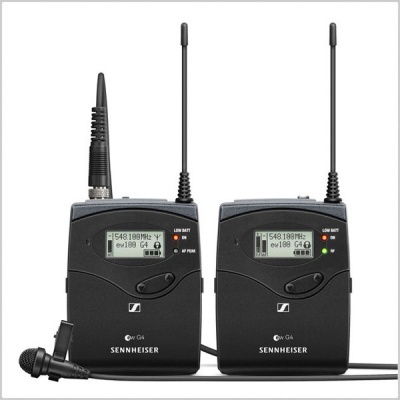 It features true diversity technology and can be used when paired with a companion receiver and microphone, as part of a wireless RF transmission system for live stage, theater, presentation, and rehearsal applications. The transmitter features 1680 frequencies tunable in 25 kHz steps with 20 fixed frequency banks and up to 12 compatible frequency presets. There is 1 user bank with up to 12 user programmable frequencies. The transmitter's menu-driven backlit display shows current frequency, frequency band and channel number, metering of AF level, transmission status, battery status, and more. 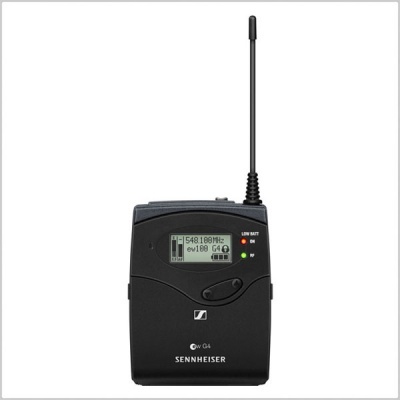 Furthermore, the transmitter is equipped with a mute switch and is powered by two 1.5V AA size batteries or by one Sennheiser BA 2015 rechargeable accupack. It is built with a rugged metal housing. 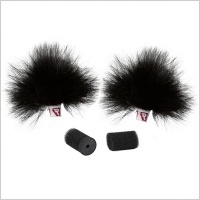 The SK 100 G4 transmitter will operate about 8 hours and is equipped with a 1/8" line/mic input jack. With 25 Hz to 18 kHz AF frequency response, the SK 100 G4 is designed to deliver a natural audio quality. 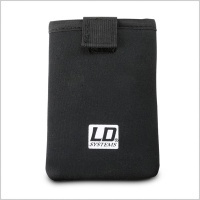 Robust bodypack transmitter for daily use on stage. 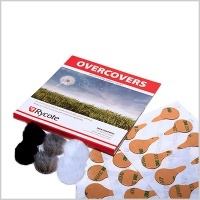 Easy and flexible wireless synchronization between transmitter and receiver via infrared. 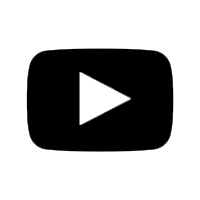 Fast frequency allocation for up to 12 receivers via updated linking functionality. Up to 20 compatible channels. 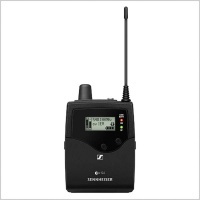 Up to 42 MHz bandwidth with 1680 selectable frequencies, fully tunable in a stable UHF range. High RF output power (up to 30 mW) depending on country regulations. Available in black, the ME 2-II from Sennheiser is an omnidirectional lavalier microphone designed to capture speech and vocals. It takes concepts found in the original ME-2 and expands them, focusing the frequency response and offering full compatibility with digital RF-transmission systems. Whereas the ME-2 could introduce noise if the capsule and transmit antenna were over 7.9” away from each other, the ME 2-II is 100% compliant with digital RF systems, such as the SpeechLine Digital Wireless system. Also, where the ME-2 gave you a frequency response of 30 Hz to 20 kHz, this iteration narrows the range from 50 Hz to 18 kHz. The focusing allows the capsule to hone in more on appropriate tonalities, minimizing the capture of frequencies piercingly high and unnecessarily low in the context of vocal recording. Additionally, this model features a lighter-weight housing compared to the original, as well as an improved clip and an integrated windscreen. 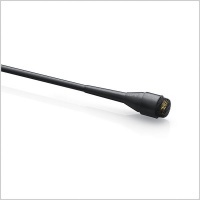 A cable length of 5.2' provides enough slack for nearly any situation, at the end of which sits a 3.5mm threaded EW connector for compatible systems, such as the AVX, XS Wireless 1, XS Wireless 2, and more. 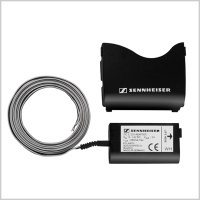 The Sennheiser CA2 is a shoe mount adapter for the EW series camera mountable receivers. 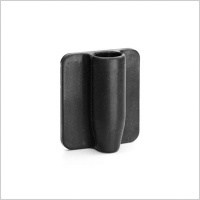 The mount allows users to attach the receiver to the accessory shoe of any camera, providing a secure mount. 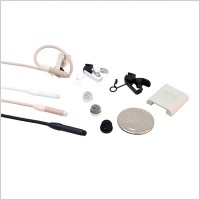 The Sennheiser CL100 is a connecting cable with a standard 1/8" (3.5mm) mini and unbalanced XLR male connections. 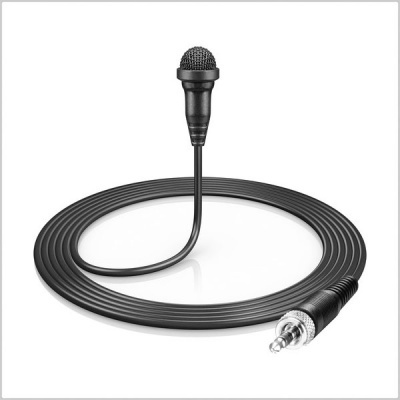 The cable is specifically designed for connecting the Evolution series portable EK series receivers to the audio inputs on Beta Cameras, mixers, amplifiers, etc.